It’s hard to believe that just five years ago Sacramento set out to host a new little event called the Farm-to-Fork Festival. Fast-forward to 2017, and the festival is now one of the largest family-friendly events in the region with an attendance last year of more than 50,000. Visitors meandered the streets of Capitol Mall, immersing themselves in the very center of America’s Farm-to-Fork Capital tasting fresh food, enjoying local drink, watching live-cooking demonstrations and listening to great music. In years past, kids have played with farm animals at the petting farm, decorated T-shirts with Chipotle, painted a huge agricultural-themed mural, and had their own faces painted. These fun activities will be available again this year, along with some new and exciting interactive activities. Rock-climbing wall & obstacle course. 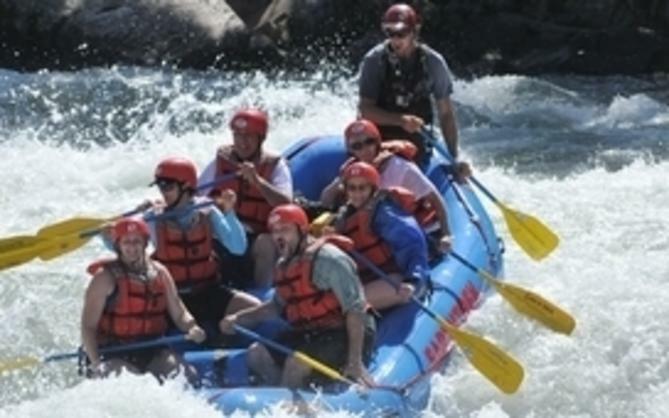 Presented by Mobile Rock USA, kiddos will have the opportunity to safely try their hand at rock climbing or test their mobility at the inflatable obstacle course. Kids demonstration stage. 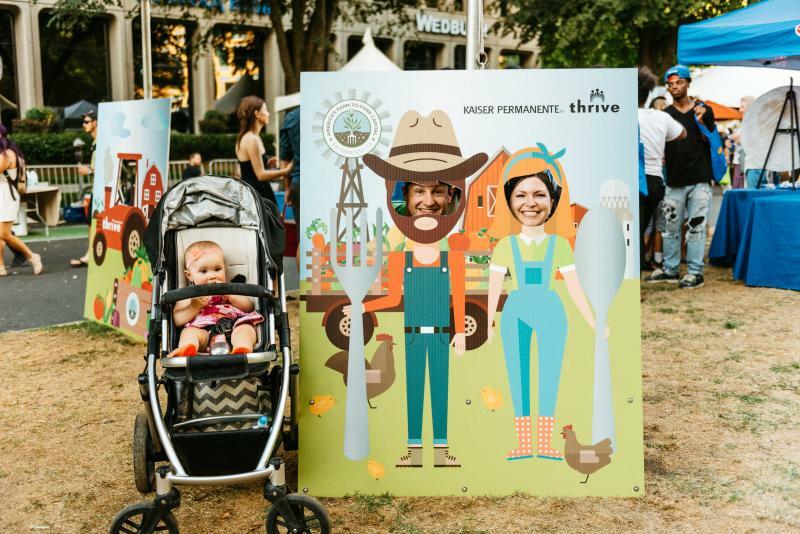 On the kids demo stage, spectators will enjoy interactive presentations from Food Literacy Center, Jesuit High School, the Funny Farm and Slow Food Sacramento. Monster mural. Grab a paint brush and your favorite (non-toxic) paint color and help complete a huge farm-to-fork-themed mural. Petting Zoo. The Funny Farm petting zoo will provide educational demos, animal safety presentations, a backyard chicken guide and coloring pages. Face Painting. Free face painting…what kid doesn’t love to have their face painted at a fun event? T-shirt painting. Chipotle will once again be giving away organic cotton T-shirts that kiddos can decorate with stencils. They will also be hosting a fun game. *Be sure to stop by the Sacramento City Unified School District booth to learn about their Farm-to-School, culinary and Agricultural Pathways programs. 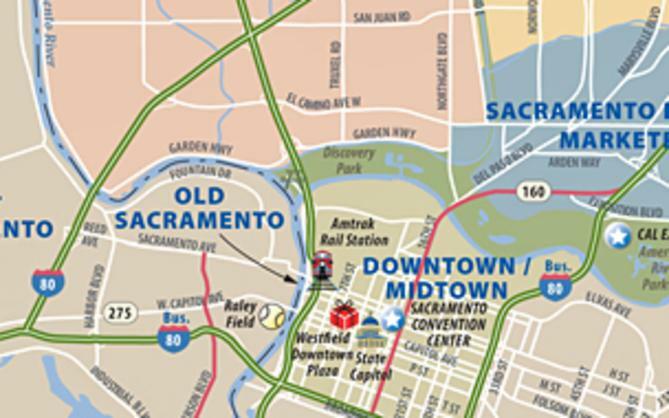 Getting There: If you are going by car, there is plenty of street parking and/or parking lots and garages within a few blocks of Capitol Mall surrounding the festival footprint including Downtown, Old Town and even West Sacramento. 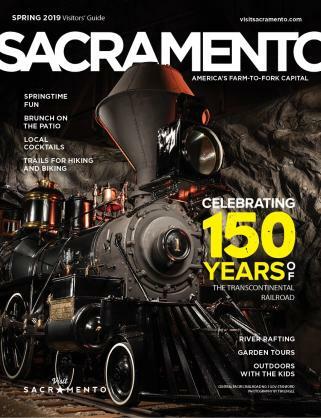 Click here for information on City of Sacramento parking. Just be prepared for slow traffic coming off I-5 and J Street. If you are going by way of bike, the American River Parkway makes it rather convenient to bike into downtown from the North or from the East. A free bike valet will be located at Eighth Street. If you are coming from the Bay Area - Amtrak&apos;s Capitol Corridor is super convenient as it takes the worry out of driving in traffic and parking. After a leisurely 2-hour train ride (with free WiFi) you&apos;ll be dropped off at the Amtrak station in downtown just a couple of blocks from the entrance to the festival. And Amtrak is offering a fabulous deal right now on weekends and Monday holidays - with the purchase of one regular-fare ticket, you can purchase up to five more for just $5 per person each way.